Cutting your expenses is an essential part of rebuilding your credit. To live within your means might seem boring, or even difficult. But imagine the financial freedom that comes with having a good credit score and paying off your debts. Skipping your daily take out coffee, cancelling your unused gym membership and budgeting for nights out can make a big difference. Below we provide money saving advice to help cut costs in each area of your life. 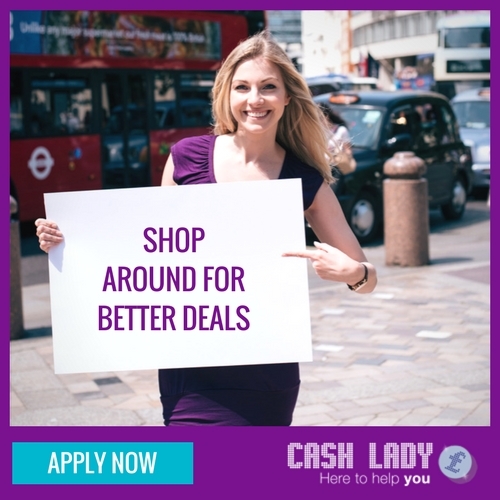 If you are prone to overspending or could use some extra money at the end of the month, then why not give it a try? Gather up all of your recent bank and credit card statements plus household bills. Review your previous 3 months spending and put it into categories. This should give you a clear picture of what you are spending in different areas and will highlight where you need to make cut backs. Living within your means involves not spending more money than you have coming in. By cutting your expenses this will be much more achievable. Prepare a monthly or weekly budget in advance. After you have calculated your regular incomings and essential outgoings, including repayments and savings. Then, consider the money that you have left over. The act of writing your expenses down flags up how quickly uncontrolled spending can negatively impact your finances. To help keep to your budget, set up another bank account or use money bags and put the cash for each of your allocated items in there. If you have money set aside for a night out or a day trip then stop spending when it runs out. Going out for dinner and enjoying drinks with friends is lots of fun. But if you’re doing it several times a month then you are spending more than you should on socialising. There are lots of restaurant deals available through online deal subscription services such as Groupon, Wowcher and Itison. If you have a special occasion coming up then buy a deal in advance and save it or go out earlier and enjoy a pre-theatre meal. Do you think that you have got what it takes to be a restaurant critic? Try signing up to be a mystery diner. You get paid to eat out and provide feedback on your experience. Instead of going out perhaps it is time to stay in. Invest in some candles, board games and a cookbook and invite friends around to your home. One pot dinners such as chilli, pasta and stews are easy to make and cost less than one round of cocktails. If you are rebuilding your credit then you may find yourself staying in more than usual. This doesn’t have to be a bad thing. Embrace the current trend for Hygge, which is the Danish art of living well and simply. It focuses on being cosy and spending time with loved ones so make your home a place that you want to spend time. If you like a film then look for nights when cinemas offer discounted rates, usually on a Monday. Buy sweets before you go so that you don’t end up spending £20 on a bag of pick and mix and some popcorn. When shopping around for insurance deals, look for companies that offer rewards such as cinema tickets. Sometimes a week’s travel insurance can earn 2 for 1 weekly cinema tickets for a whole year. Galleries frequently host free events so not only will you save money, you will expand your interests too. Look out for cheap last minute theatre deals online and at the box office. If you have kids to entertain then tune into online deals for days out and check local newspapers for regional offers at theme parks. Your local library might also be a source of free activities so pop in and take a look. Getting outdoors for picnics, climbing hills and exploring the countryside is fun, healthy and free. Look for walking groups in your area if you are not sure where to start. If you buy new clothes every month and have a makeup bag bursting with designer cosmetics then you may find it hard to cut your expenses. Following fashion is expensive and so you should try and work with the items that you already have. Remember that classic pieces will hang in your wardrobe for far longer than on trend items. If you can’t fight the desire for new clothes then consider hosting a clothes swap. A cunning way to get a new wardrobe without spending any money, invite friends round and ask them to bring a bag of unwanted clothes. Lay them out and get swapping. Unless you have plenty of money, buying makeup from luxury brands should really be that, a luxury. Sometimes expensive brands last longer than cheaper ‘drugstore,’ versions but that is not always the case. Online makeup blogs review cheaper makeup items and so you should take the time to try them. Remember that while they may not smell quite as nice, drug store foundations are less than a quarter of the price of the expensive brands. If you have particular favourites you simply can’t do without, add them to your birthday and Christmas lists. Then save them for special occasions. If you stick with the same supplier’s year on year then it’s likely that you are paying too much for your energy, broadband, mobile and insurance. Spend half a day calling up all of your suppliers and threatening to leave, it is likely that they will offer you a better deal. Look around and don’t be afraid to switch. New customers frequently get the best deals. Just a few hours work could save you hundreds of pounds every year. Purchasing a morning coffee might be part of your routine but it is an expensive habit. If you like to drink your coffee on the go then invest in a reusable thermal cup and make it yourself at home. If your work lunch tends to be a deli sandwich or a salad from the local coffee chain, then it is time to rethink lunchtime. Taking a couple of hours and batching food on a Sunday will save you time and money for the rest of the week. Make a big pot of soup and a stew or turkey chilli and then pop it into tubs or freezer bags. Lunch and perhaps a few speedy dinners will be sorted for when you need them and are much healthier than pre-prepared sandwiches or fast food. If you don’t like cooking then buy soup pots from your supermarket, half a pot a day with a side of oatcakes or a roll works out at around £1.50 a day. Try and avoid vending machines and buy your treats in multi-packs from the supermarket. Just a little preparation will save you lots of money over the course of one year. Planning your meals and anticipating when you will be too busy to cook means that you will be less likely to call an expensive takeaway. Try and do one weekly shop at the supermarket and plan your meals in advance. Think about batching and using each item as efficiently as you can. For example, if you plan to roast chicken on Sunday, use the leftovers for chicken salad the following night. If you are in the habit of buying branded products then challenge yourself to try the supermarket ranges. In many cases, you won’t know the difference. Also, try shopping at either of the cheaper German supermarkets as the savings on a weekly shop can be significant. According to the magazine, The Grocer, Waitrose is the most expensive supermarket while Aldi is the cheapest. When getting your finances in order, now is a great time to focus on other areas too. Do you have a junk room that you have been meaning to sort out for months? Is your wardrobe full of clothes that you haven’t worn for years? Sell it at a car boot sale or an online auction site such as eBay or on Money Magpie. Exercising doesn’t need to cost money and gym memberships can be expensive. Jogging, cycling and lifting weights can all be done without joining a gym. There are lots of online videos for High-Intensity Training and yoga that you can do for free at home. 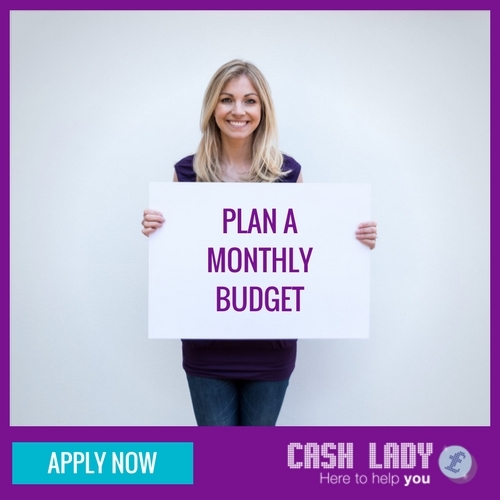 It might seem obvious but bringing in extra money each month can be a big help. Do you have any skills that you could use to start earning a little more money in your spare time? Writing, cleaning, babysitting, ironing, graphic design, people need your services.